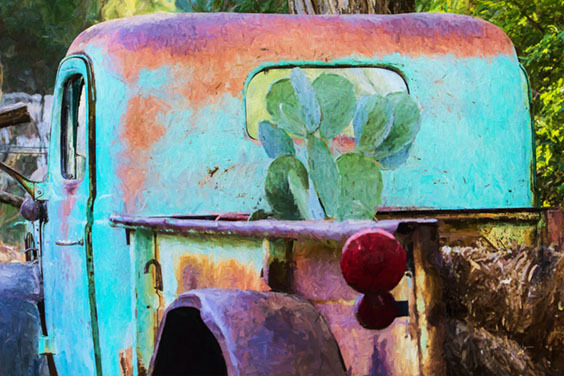 On my recent visit, I became acutely aware of how determined life is – from the plants and trees that grow out of an outcropping of weathered rock or from the charred remains of a forest fire, to the resilient people who call this isolated place home. I saw how, when the light is just right, a creative mind can turn pillars of volcanic rock into fanciful figures and curious objects. 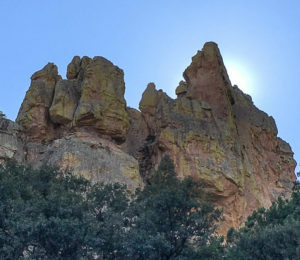 While hiking, I stopped often to listen to the wind rippling through the tops of newly leafed-out Cottonwoods and Arizona Sycamores and noted how it sounded like a wave crashing over a tide pool and then slipping back into the sea. On an after-dinner stroll, I saw a sky full of twinkling stars like millions of pinpoints of light on the surface of a black sea, and heard the barking of an Elf Owl for the first time – a sound that startled and delighted me at the same time. 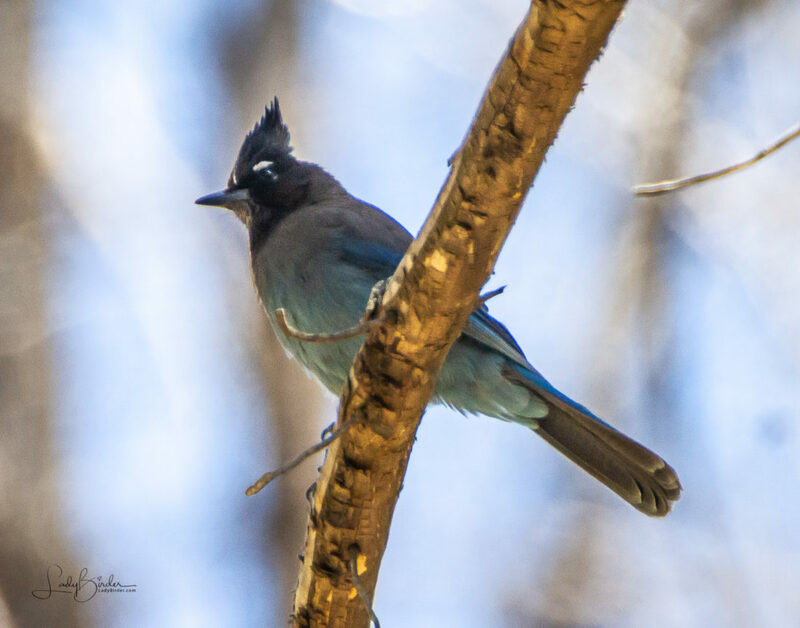 I struggled in thin air up a steep and unstable slope to be richly rewarded with the sight of an uncommon watermelon-colored bird called a Slate-throated Redstart singing in a tree just ten feet away. 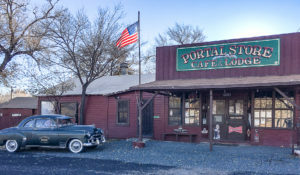 As in the past, our headquarters for this two-day trip was the town of Portal, a small, unincorporated community on the east side of the Chiricahuas at the mouth of Cave Creek Canyon. It has a charm unlike any place I’ve visited and is comprised of a restaurant that, in an unusual twist, is better than the lodge to which it’s attached, a Post Office, a library and a scattering of rustic homes and shacks that look as if they’ve been there since the area was first settled. Some probably have. The community caters heavily to birders: the restaurant shop is filled with bird-related merchandise and residents set up feeders in their yards, offering viewing benches in exchange for donations to pay for bird food and treats. 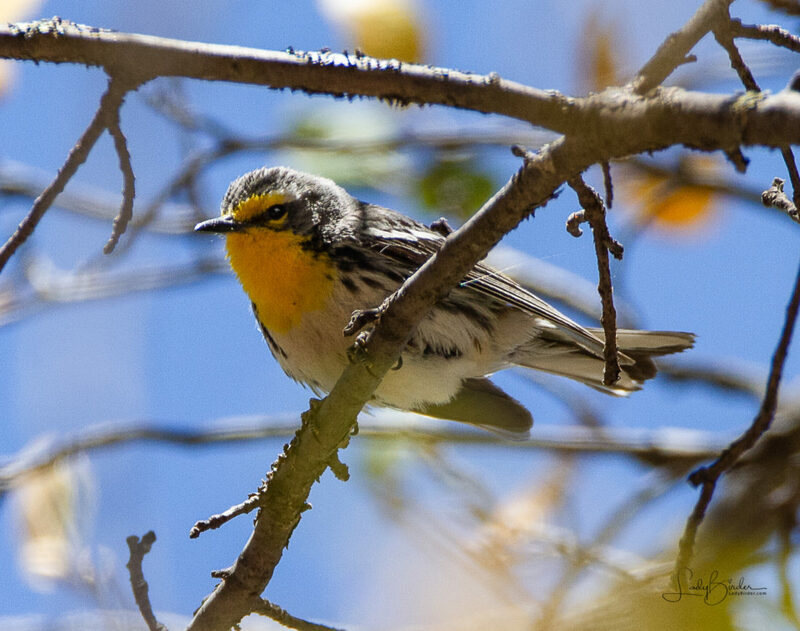 I have read that half the species of North American birds can be seen in Cave Creek Canyon and we were there to see as many as possible – in specific, a Fan-tailed Warbler that had been reported earlier in the week. Unfortunately, this rare bird had flown the coop the day before we got there, but there were plenty of other goodies to delight our souls and set our hearts aflutter. 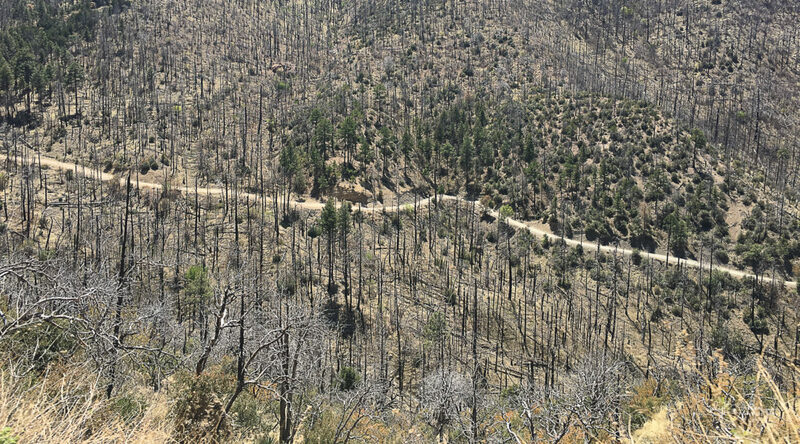 We rumbled up Pinery Canyon Road, which twists and turns up one side of the mountain and down the other, and saw how life is gaining a foothold after a forest fire. In a place like this – so vast and full of avian treasures – it’s helpful to know someone familiar with its secrets. 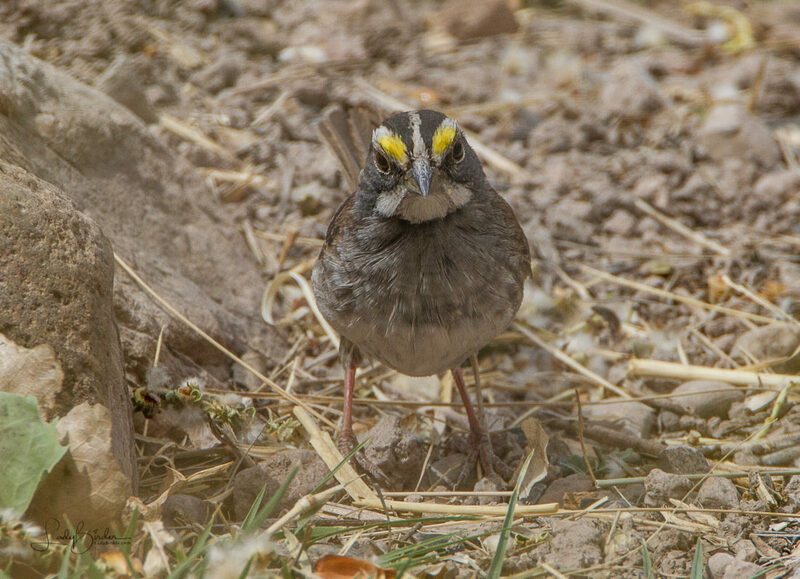 In addition to the locals who open their yards and share their knowledge with birders, we are particularly fortunate to have birding friends that live here, who so graciously shared their time to show us some of their finds: a Whiskered Screech Owl tucked into the knot of a tree, a couple of Blue-throated Hummingbird nests, one of which contained tiny Tic-tac-sized eggs, and a sweet spot at the intersection of two narrow mountain dirt roads that at this time of year reliably hosts mixed flocks of migrating Warblers, as well as Mexican Chickadees, a bird common in mountain forests in Mexico, but crosses the border only to the Chiricahua Mountains of Arizona and the Animas Mountains of New Mexico. So without further ado, let me share with you some of the charms I added to my “bracelet” of year and life birds that I saw in the Chiricahuas last week. 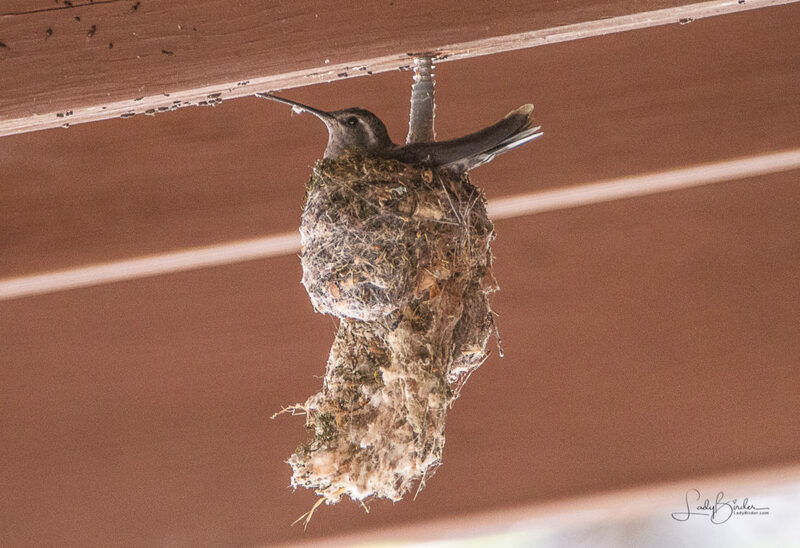 This female built her nest on top of last year's nest. 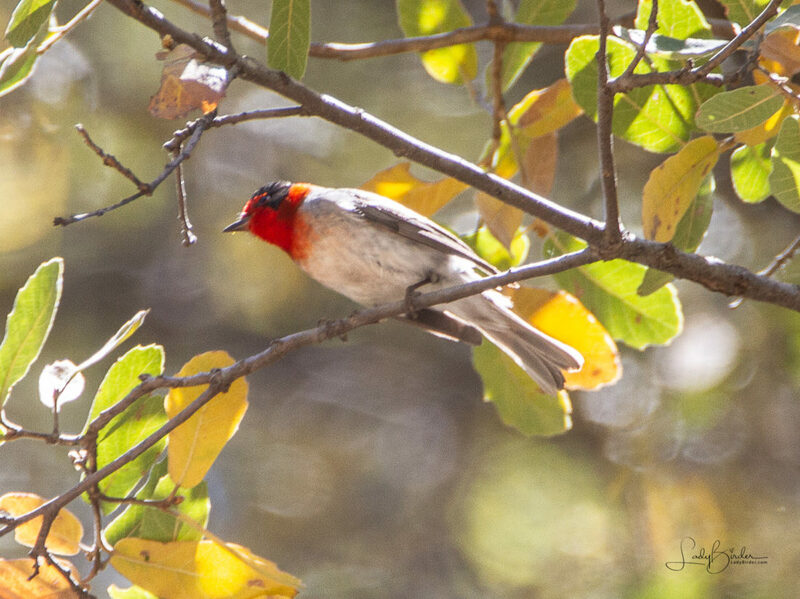 A colorful bird of the Mexican mountains, this bird is found in the U.S. only in the high elevation forests of Arizona and New Mexico. 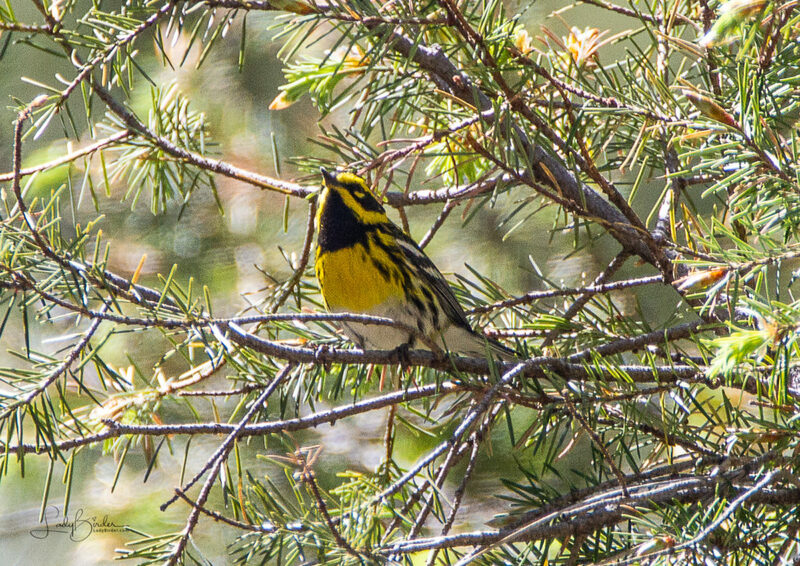 A warbler of southwestern pine forests, the Grace's Warbler forages at the tips of branches and rarely perches. 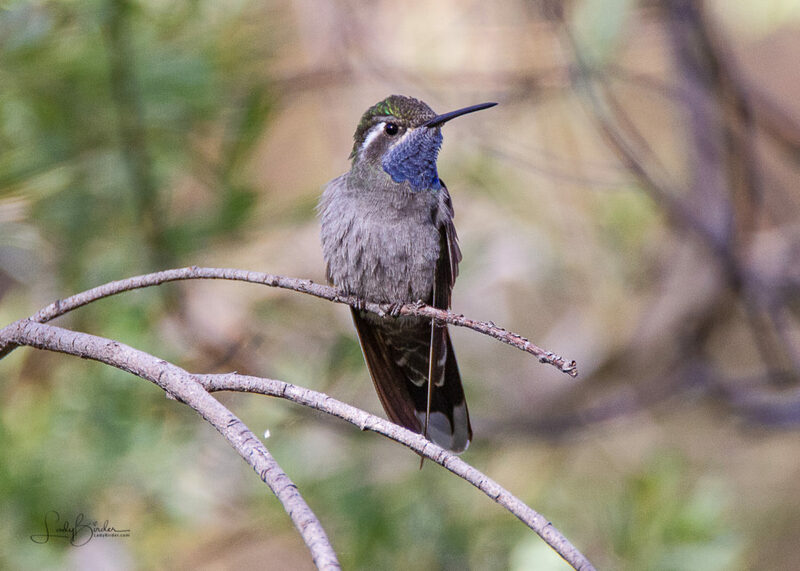 The largest hummingbird north of Mexico, this Hummingbird is found in stream side habitats in mountain canyons, only as far north as southeastern Arizona. 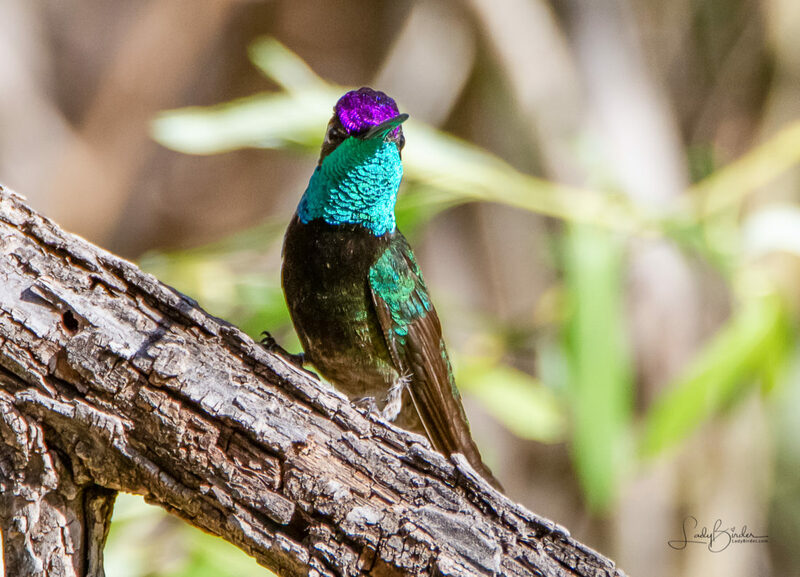 The second-largest Hummingbird north of Mexico and Rivoli's has one of the highest recorded heart rates of any vertebrate. 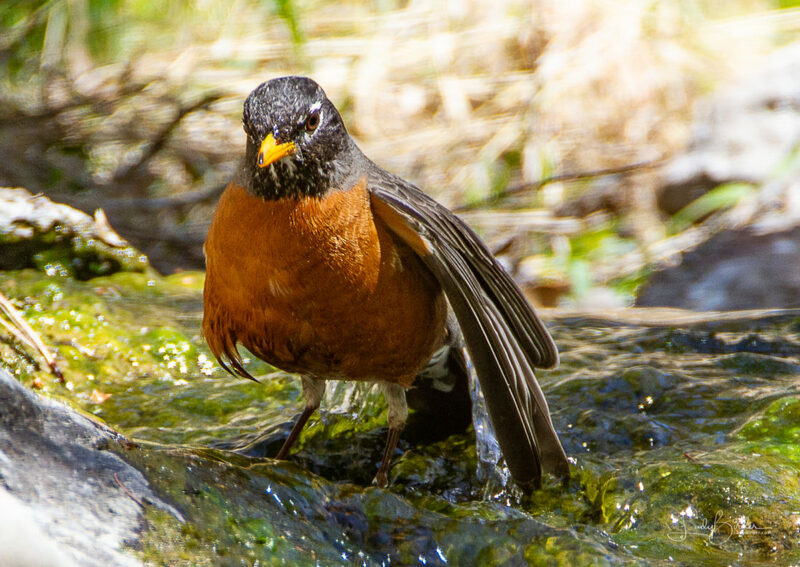 The quintessential early bird, American Robins are common sights on lawns across North America. They are at home in wilder areas, too, including mountain forests and Alaskan wilderness. North America's largest sparrow and the only songbird that breeds in Canada and nowhere else in the world. Unfortunately, their populations are declining; its restricted range make it vulnerable to habitat loss on the wintering and breeding grounds. 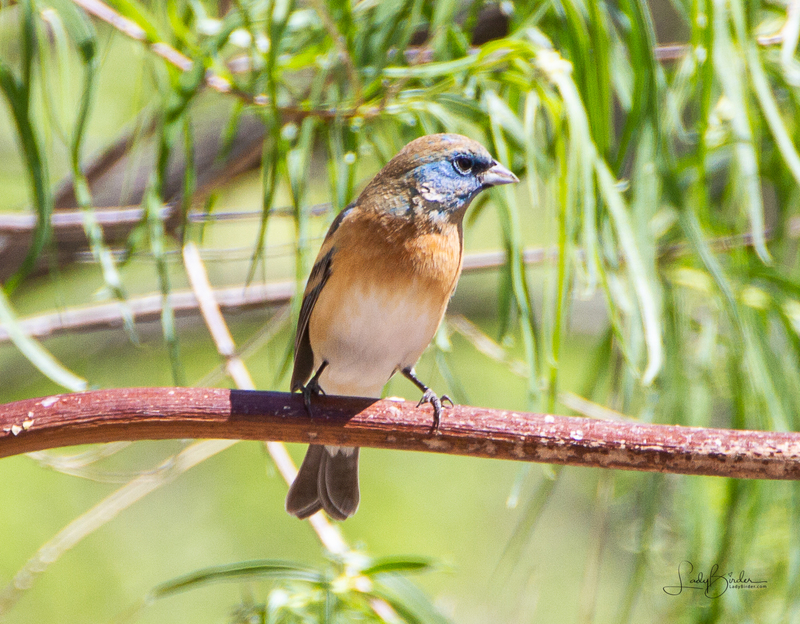 Each male Lazuli Bunting sings a unique combination of notes. Yearling males create their own song by rearranging syllables and combining song fragments of several males. The song they put together is theirs for life. 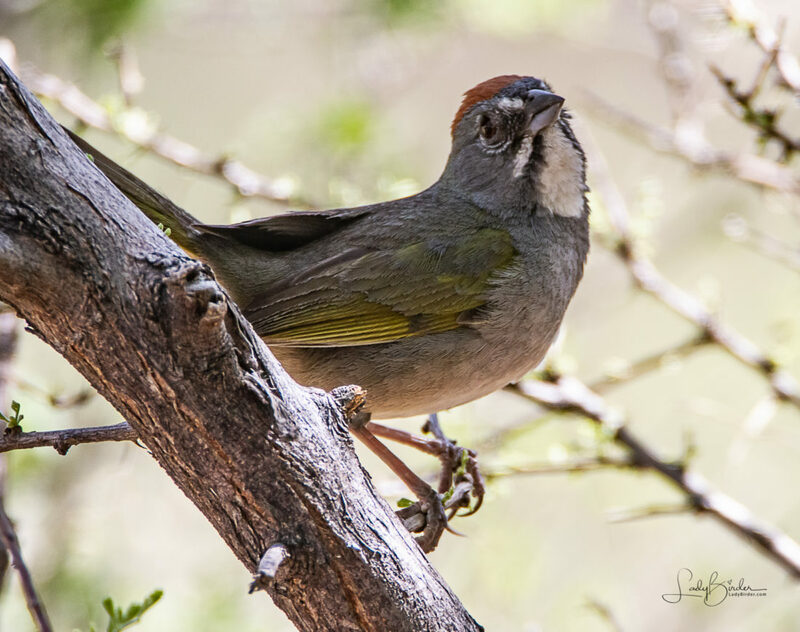 This large sparrow is a colorful resident of the West’s shrubby mountainsides and sagebrush expanses—if you can see one. They spend their time scratching at leaf litter under dense cover, occasionally popping into view to whistle a song or give a querulous mewing call. 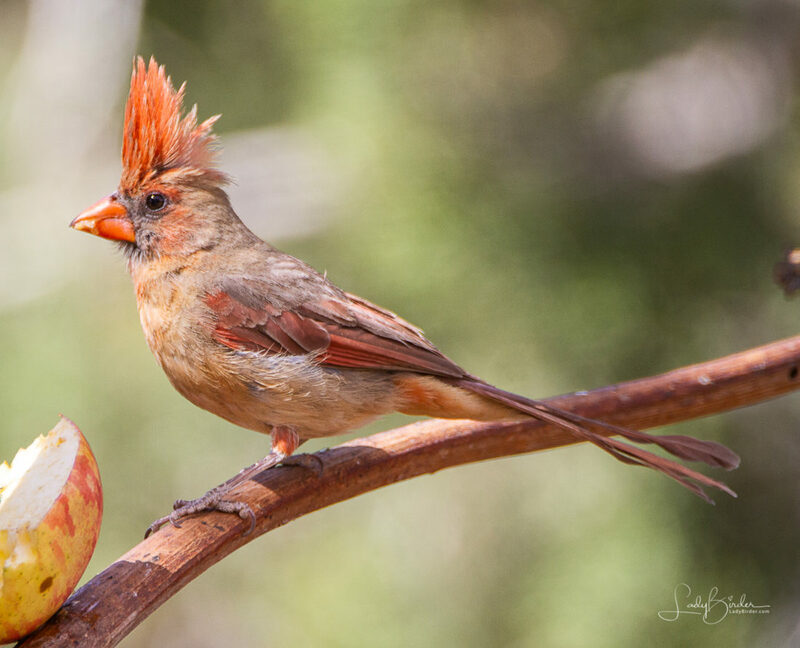 Only a few female North American songbirds sing, but the female Northern Cardinal does, and often while sitting on the nest. This may give the male information about when to bring food to the nest. 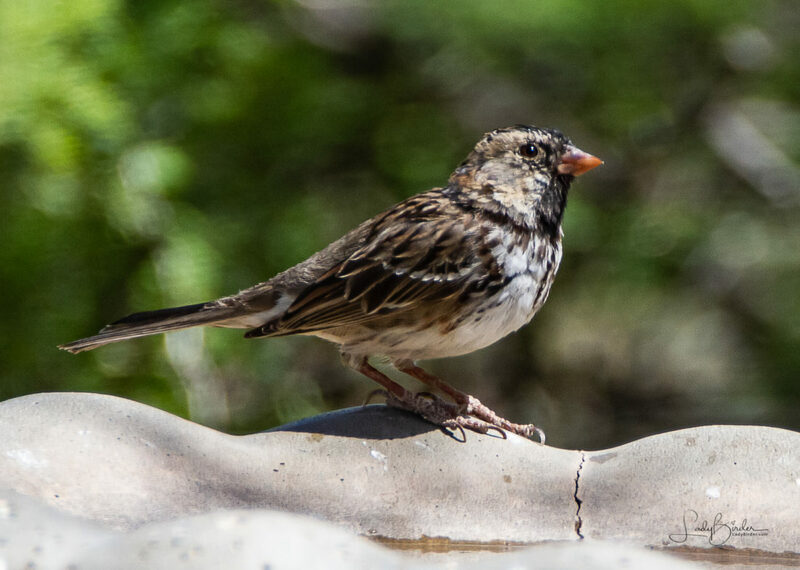 These forest sparrows breed mostly across Canada, but they can be found in southeast Arizona during their non-breeding period. 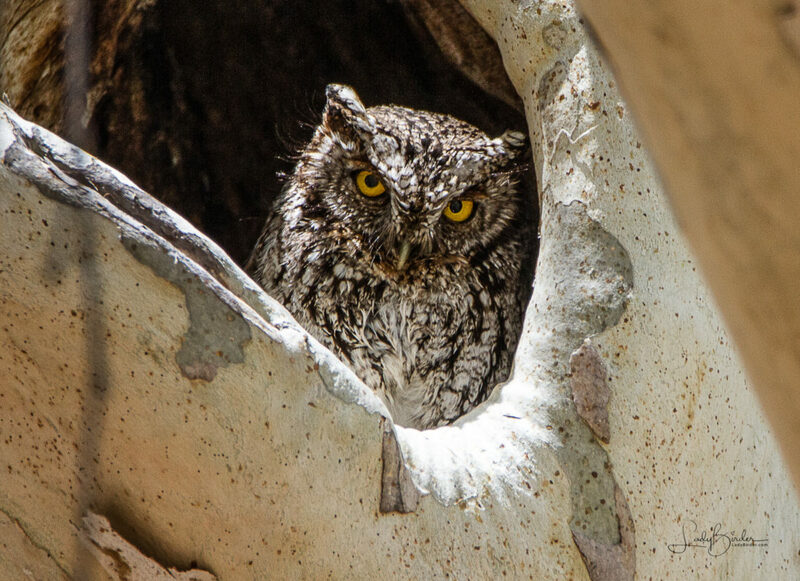 These compact owls—not much taller than a standard pair of binoculars—hunt in woods and deserts of western North America, where their wide-ranging diet includes everything from worms and crayfish to rats and bats. 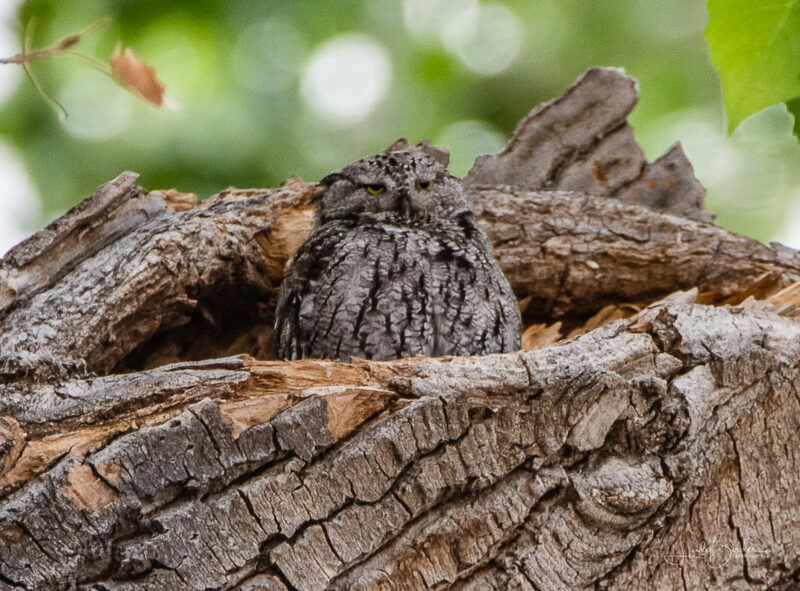 In mountains near the Mexican border, this little owl is common in the oak woodlands. Although its voice is distinctive, it looks very much like the Western Screech-Owl, which is common in the same general region. 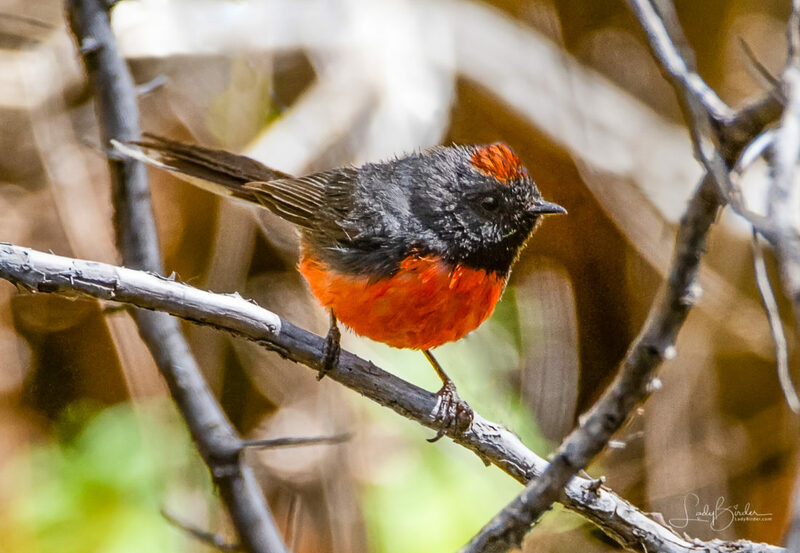 The Slate-throated Redstart has wandered north from Mexico into the American Southwest only a few times, mostly in spring. More fabulous pictures, another great read. Thank you, Lyndie, for sharing your passion. Thank you, Candy! So happy that you enjoyed it! Thank you, Lyndie, for sharing your passion. What a nice story and once again, you showed your extreme talent, Lyndie. Why, thank you, my friend! Gorgeous photos, Lyndie, all of them. I hope to get there someday. That redstart is stunning as is the Blue-throated Hummingbird. How fun to have friends there! Fabulous shots! It is such a special area! Would love to go back for a few weeks one of these years! It is one of my favorite areas in the state. Hope you make it back there soon. It is such a wonderful birders paradise!